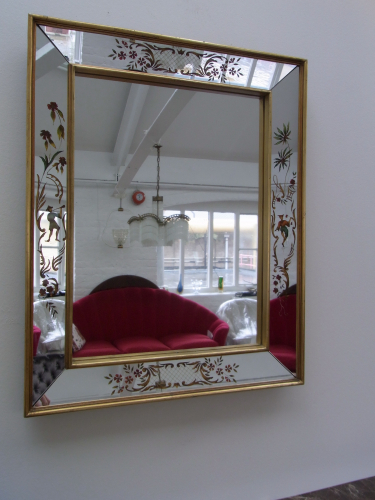 Colourful and unusual mid-century mirror. French in the Venetian Style depicting figures from the Orient. Gilt frame.